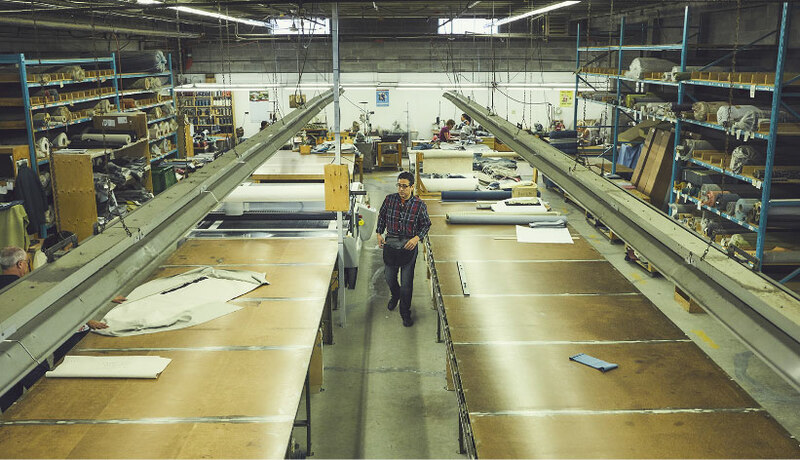 As a proud member of the Sustainable Furnishings Council, we are committed to employing sustainable practices in the manufacturing of our furniture. We have instituted many eco-conscious initiatives and are engaging our entire workforce in thinking about ways to further advance our green approach to manufacturing. The birch hardwood frame stock and low formaldehyde BC fir plywood used in all Romano frames are sourced only from responsibly managed forests in Canada. The sinuous, no-sag steel springs used in Romano’s seating is sourced in North America and contains up to 60% recycled metal. We continue to offer a wide array of durable, easy to maintain and eco-friendly fabrics as well as 100% natural fabrics. We use the highest grade of foam for use in residential or light contract furniture. Our foam is independenly certified by CertiPUR-US, a certification program administered by a not-for-profit organization that ensures that the foam is safe for your home. All Romano feather inserts contain a blend of white duck feather and duck down that are hypoallergenic and OEKOTEX certified to be free of harmful or toxic substances. Our packaging is 100% recyclable. Employees helped implement a comprehensive recycling program that they participate in on a daily basis. Purchasing a Romano is an investment. We design our furniture with longevity in mind; we choose quality materials, employ durable fabricating methods and employ design aesthetics that will not soon be outdated. Also since all of our products are made to order you can chose from a multitude of different options to personalize your sofa to suit your individual style. So in the most fundamental sense, we believe that in making a personalized choice combined with a quality built product, you will keep and enjoy your furniture for many years and in so doing are fundamentally making the best decision with regards to the environment. « All these measures help us reduce our carbon footprint and keep money in the local economy. But there is more to consider. Our lean manufacturing approach means we only order what we need for a production. This means we keep a tight control on inventory, and nothing goes to waste. 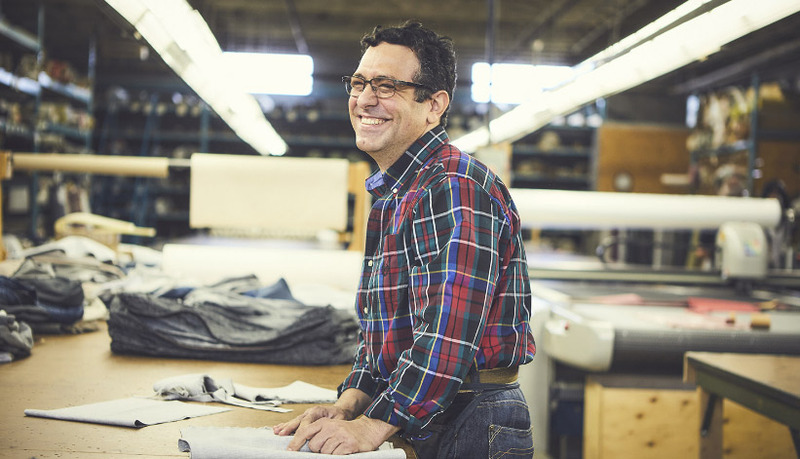 Using lean manufacturing is not only good for the environment, it also means for you as the customer a consistent high-quality, handmade product while keeping costs at a minimum. Manufacturing locally has always been an integral part of Romano. Our factory is situated in the cIty of Montreal. This gives us access to a pool of talent that would not be available elsewhere. 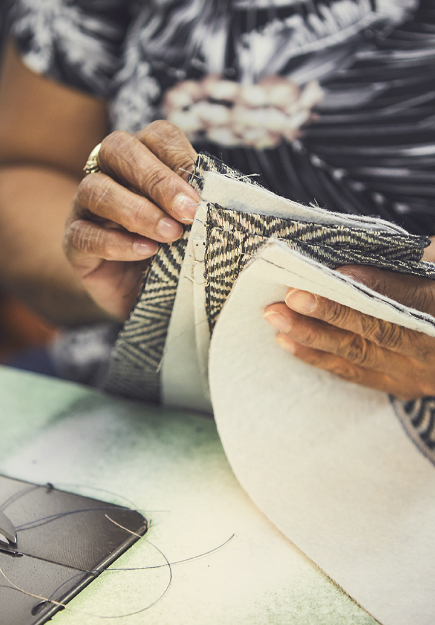 Our neighbourhood is well known for its proud Italian community, and therefore it comes as no surprise that there is a long tradition of upholstery manufacturing in the area and suppliers are plentiful. Our foam, fabric, wood and feathers, springs and other hardware are all locally sourced and the electricity in our factory comes from renewable hydroelectric power. All these measures help us reduce our carbon footprint and keep money in the local economy.